Start working up your cases faster, with no internet connection. 2. Click the Settings Icon in the top menu. 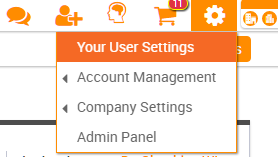 Then click "Your User Settings"
3. Click the "Offline Program" tab, select the Windows option on the right, then click the white "Download" button. 1. A .exe file will be downloaded. The file is 1.7 GB, so please be patient on the download time. 2. Upon completion of the download, run the program. 2. Please make sure you run the .exe file "as administrator"
3. Right click on the .exe file and select "run as administrator" to run the installation. 3. 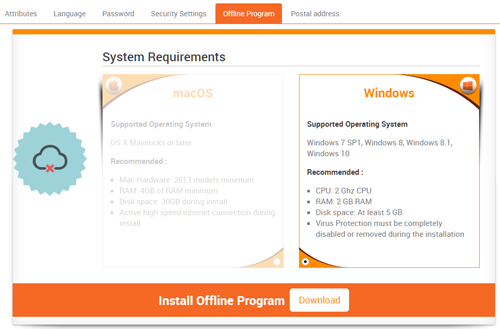 Upon completion of program installation, you will need to restart your computer, then open the offline software (the icon will be on your desktop) and enter your Online Account Information. Once you have successfully downloaded the SmileStreamOffline.exe file you will see the following on your desktop. Login window will appear. Enter the same email and password you use when logging into SmileStream Online. Note: Patients that are on your current SmileStream online account will appear on the new SmileStream Offline version. We recommend you only select and download the cases that you are currently working on. Please Note: If you ran the transfer tool to transfer patient data from IPSoft to SmileStream your pictures from the picture tab will not be transferred.